Home » Market News » DirectorsTalk Highlights » IBC: whose line problem is it anyway? In my last blog I discussed the drivers for inbuilding cellular (IBC). 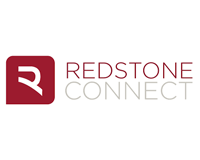 I want to reiterate one important statistic: in a Redstoneconnect survey of facility managers, 31% said mobile coverage was “poor” or worse. Think about it…. if a third of all businesses has staff running around the office looking for signal, missing phone calls or going outside to make a call, it has to have a massive impact on business productivity. It also can’t be viewed just from a business perspective. We employ human beings who don’t simply disconnect from the outside world the moment they enter the office doors. Whether waiting for a call from their bank or being contactable by a babysitter, it can cause undue stress if staff are unable to keep in contact for personal reasons too. With this problem clearly prevalent and the issues known within businesses, who is responsible for trying to address the problem? This is where lack of market education doesn’t help. Awareness of IBC could be better, and as a result, there’s a lack of ownership as to who should take charge of improving connectivity. First of all don’t expect network operators to solve the issue. They are already overstretched and have a 5G rollout to contend with soon. Their job is to deliver maximum bang for their buck – getting involved in the minutiae of specific buildings isn’t in their interest. They will also only deal with their own network, whereas your building will need to cater for multiple networks. IBC may operate on the network when in the building, but is it IT’s problem? Certainly they don’t necessarily have the skills in-house to deploy such a solution, although they do have a part to play. Facilities managers were highly aware of the problem, but just 11% in our survey thought it should be their responsibility to tackle. Is it the real estate company’s job? Probably not, in their eyes. 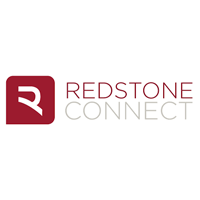 One real estate company said education is important, noting “We’re a real estate company, not an IT company” firmly batting it back as an IT problem. Previous: Peaking, plateauing or dimming – and how about that war?